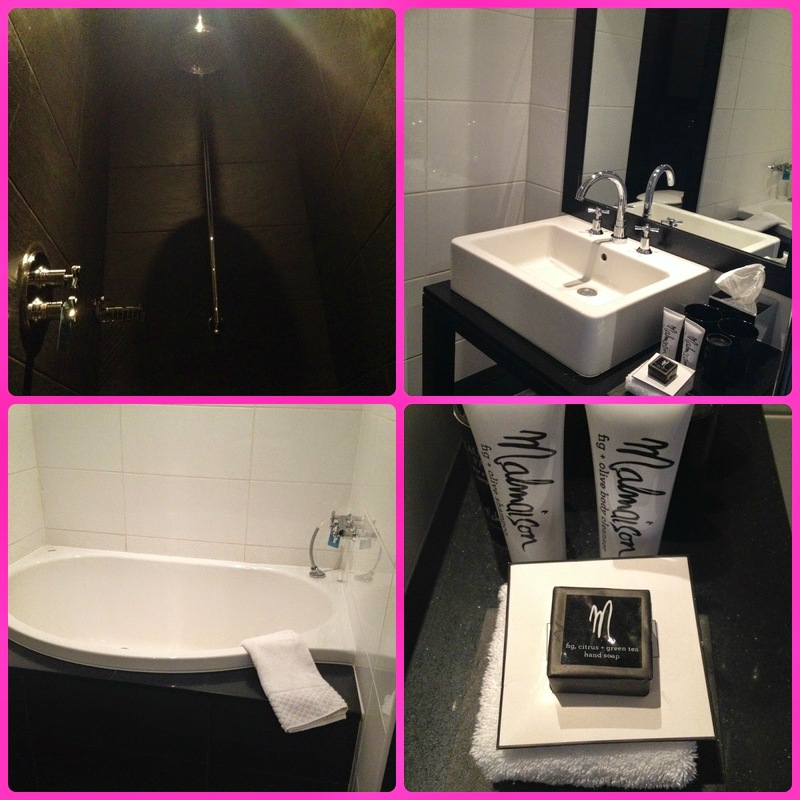 This past weekend I treated Mr.Man and myself to a stay at Liverpool’s Malmaison boutique hotel. I’ve been wanting to stay here for a long time and finally had the best excuse to book a stay – Mr.Mans’ birthday! 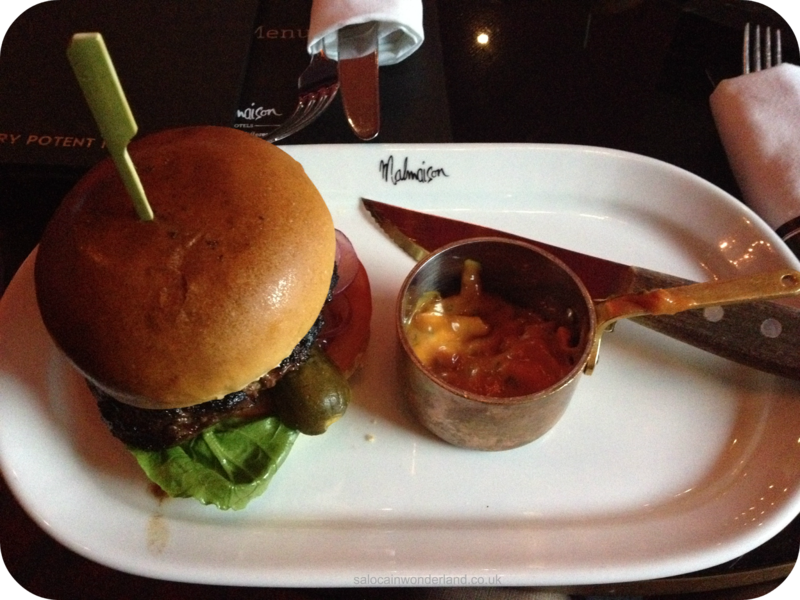 Malmaison often run special offers so I bagged myself a great deal which included an evening meal, a room for the night and breakfast the next morning – I also upgraded our room from standard to river view as it didn’t actually cost that much more! The Malmaison is situated on Liverpools’ picturesque waterfront, with stunning views of the river Mersey, The Wirral and the historical Liver bird buildings. It’s the perfect location for those planning a trip to the city who want to enjoy all it has to offer but stay just on the verge of the buzz. It’s a stones throw from all the city of Liverpool has to offer…and did I mention the views? I checked in with no bother on Saturday afternoon and headed straight up to our room on the 6th floor! Oh me, oh my! 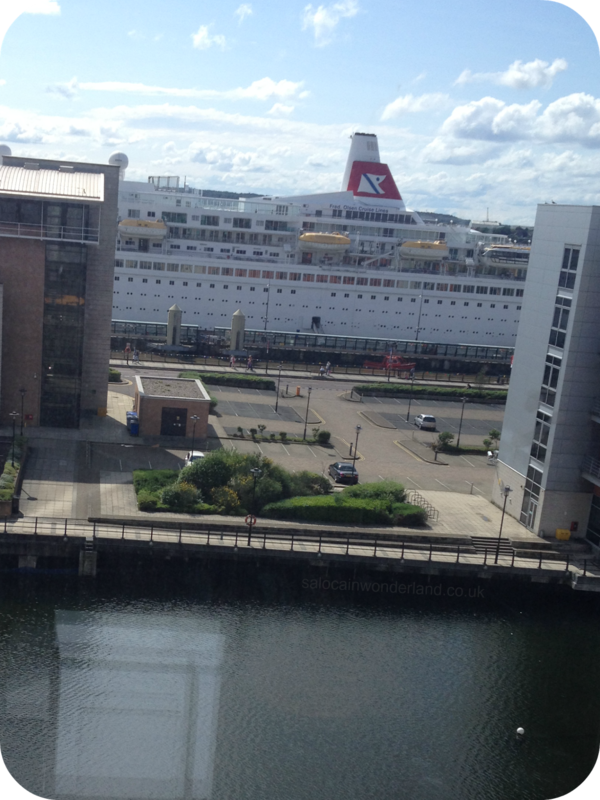 Not only where we on the top floor but we had the most amazing views of the cruise port, the Mersey and the Wirral. Does anyone else just love watching cruise ships? I don’t know why I do, they just fascinate me! Everything about the room put a smile on my face. It was a little on the dark side, with heavy dark wood furnishings and deep pink and purple accents but when you stay at a boutique hotel you tend to find that. It did feel luxurious and fancy. The room itself was big and we had plenty of floor space to move around. The wardrobe had lots of hanging space, including an iron, ironing board and some really nice plush silk covered hangers – a very nice touch! 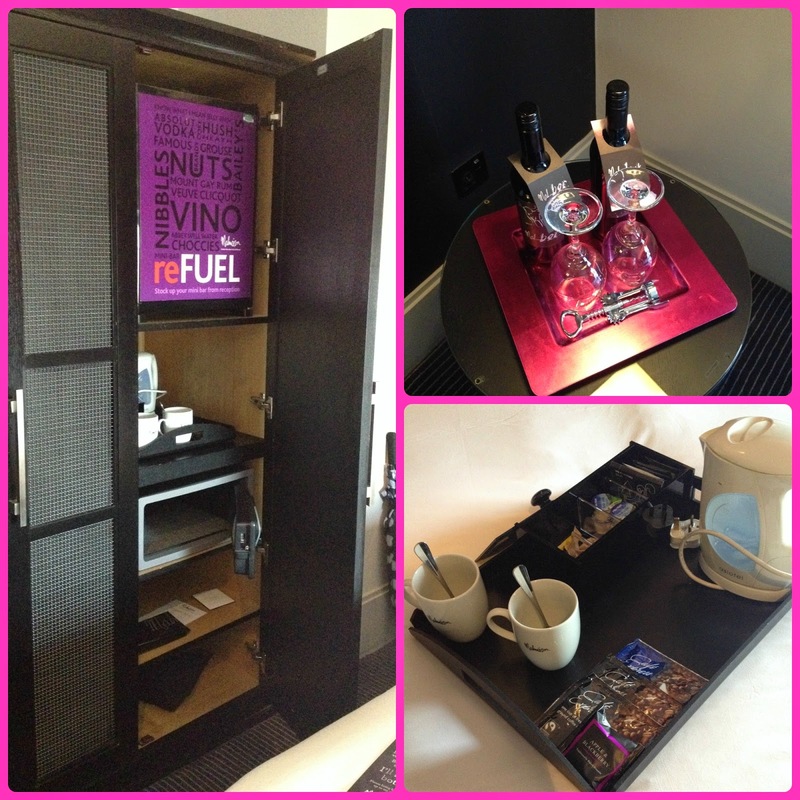 The other side of the wardrobe contained the mini bar, kettle and tea tray, electronic safe and hair dryer. 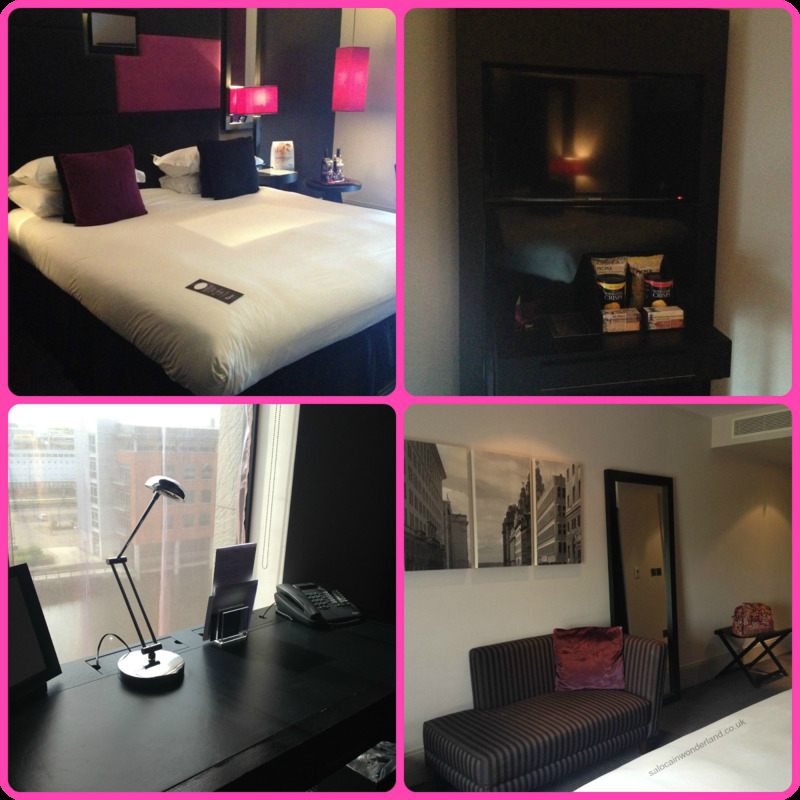 The room also had a smart tv, chaise lounge, free standing mirror and desk. You know me and my tea…so yes I’m going to rate the in room tea tray/service. I wasn’t impressed. Very little variety, and the kettle had seen better days. I actually think the tea service was a bit of an after thought – they don’t plan on their guests drinking much tea or coffee! I mean, when you’ve got a dedicated side table already set out with two bottles of wine, glasses and a cork screw…well, a brew looks a little less appealing! Now, one of the main reasons why I wanted to upgrade our room is because the upgraded room came with a bath tub and a rain shower. We had a rain shower when we stayed at the KPLodge back in March and…wow! That thing was amazing! And of course, who doesn’t love a long soak in the tub? Only this was no ordinary bath tub! It was HUGE! I could sit in the bath, cross legged and have the water up to my neck and still have room to spare! I could have done a lap in this thing – the only thing it was missing was some Jacuzzi jets! Now that would have been impressive! The shower was equally as luxe, the only thing I was unsure about was how it was on the same raised platform as the loo…it just looked odd to me! Still, very nice! Remember I said I booked the room as part of a package deal? Well, our evening meal didn’t get off to the best of starts. The restaurant was in use untill close to 7pm for a wedding so we couldn’t have a table till then. That was no good to us as we had tickets to a Reel Big Fish gig that started at 7pm! We found out we could eat in our room or in the bar instead so we chose the bar. The Mal Bar is a favourite amongst my friends and to be fair, it’s bloody gorgeous. Very plush and it really gives off that exclusive kind of vibe. We got a seat no problem and the place was fairly empty. We ordered some drinks and had a look at the menu. Trying to order the food however was a problem. Considering the bar was empty, our drinks seemed to take forever and the floor staff kept disappearing. Nobody seemed keen to take our food order until our drinks had been served. Eventually, drink in hand, they took our order and that was that. We waited a good while again for the food, so we ordered another round of drinks and hoped for the best. Again, the bar was relatively quiet so I wasn’t too sure what was taking so long! Finally, the food arrived and as soon as we took one bite into it…the wedding party descended on the bar. Strip burger in the Mal bar, fries appeared too at some point! That pot of goop is a relish that was surprisingly delicious! The Mal Bar isn’t the biggest of places and the wedding guests seemed to think they had some right to every available space in the bar, they were everywhere! Draped over our table, the back of our chairs, the arm rest, you couldn’t move in there and it made for a pretty crappy atmosphere. But oh well, the food was delicious and we were starving. Settling the bill however seemed to be a problem. Rowdy wedding goers kept pushing in front of me at the bar, then when I finally managed to get the bill they’d cocked up and tried to get me to pay for the food too (the meal was pre-paid for in the package deal). More waiting. More waiting. Eventually they took the food off the bill, I paid for the drinks, we jumped in a taxi and headed to the gig! Breakfast the next morning was pretty much the same story. They included a continental breakfast in the deal but if you wanted anything from the cooked breakfast menu it was an additional £2 per plate. The continental offered very little, a few croissants, some fruit, yoghurt, juice and cereal. It was served in the tiniest of rooms so during peak season that would be fun to navigate. Off the cooked menu we went for something we thought would be quick and simple; bacon on English muffins and egg and soldiers. Everyone around us had a complaint. They’d been waiting so long for their food, or such an amount of time for the milk for their tea. Our order was no exception. 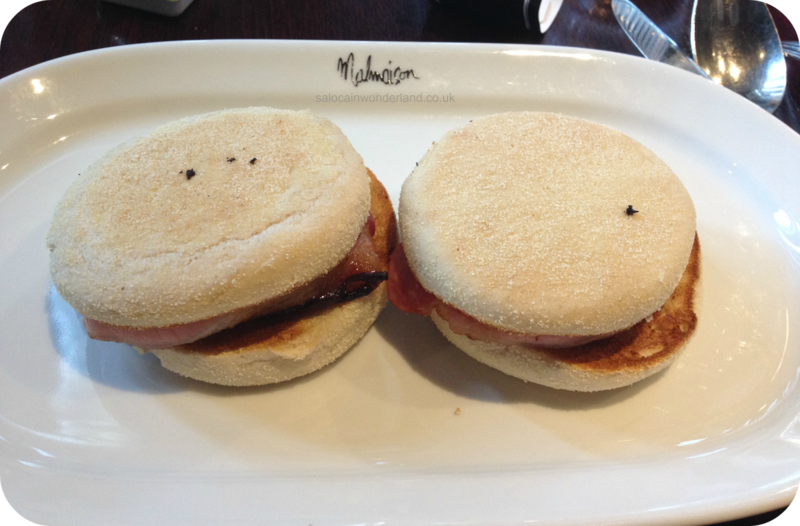 We waited close to half an hour for the hot food…the egg had been hard boiled and my muffins had been sat somewhere so long the bread was all sweated on the bottom. Talk about disappointing! I loved the room, and the hotel itself looks amazing both inside and out but there is something severely lacking in the service. I’ve had better service, and certainly better breakfasts at much cheaper hotels. When you stay in certain places and pay a certain price you expect a certain level of service, and I just don’t feel like we got that at the Malmaison. Could it just be we were unfortunate? I’ve spoke to a few people and received the same mixed feelings. Would I stay here again? It would have to be a pretty good deal to start with and I’d be inclined to head into the city center for breakfast that’s for sure. 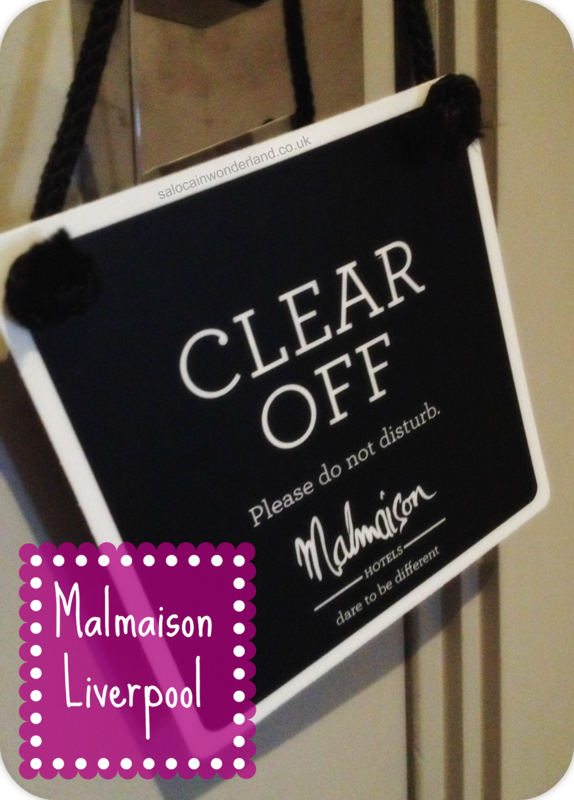 Have you stayed at a Malmaison hotel? What kind of service do you expect when you stay in hotels? Let me know in the comments below! I know what you mean about tea, it's always a bit like that! Horrible cheap kettle and not enough milk! All hotels should make an effort to have an awesome in room tea service but maybe that's just me!